The YZ450FX is all new for 2019 and runs all the latest frame, suspension, engine and electronics upgrades found on the YZ450F - including the Yamaha's exclusive smartphone tuning. We've developed the FX specifically for off-road competition. So as well as enduro engine and suspension settings, the FX has an 18 in rear wheel, bashplate, sealed O-ring chain, fuel level warning indicator and an aluminium sidestand. YZ450FX - when you want to push in the bush. *Available with optional recreational rego kit. 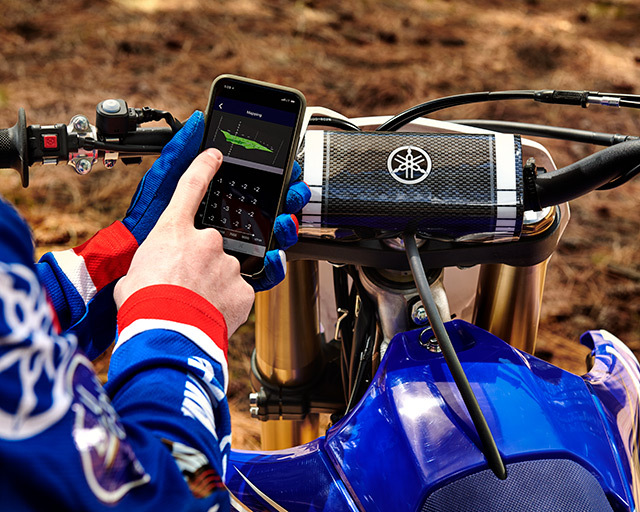 Optional accessory, GYTR Power Tuner lets bike tuners adjust air/fuel mixture and ignition timing maps to match engine performance characteristics to the rider and track conditions. 270mm front disc brake offers outstanding machine control and performance, with exceptional stopping power and controllability. 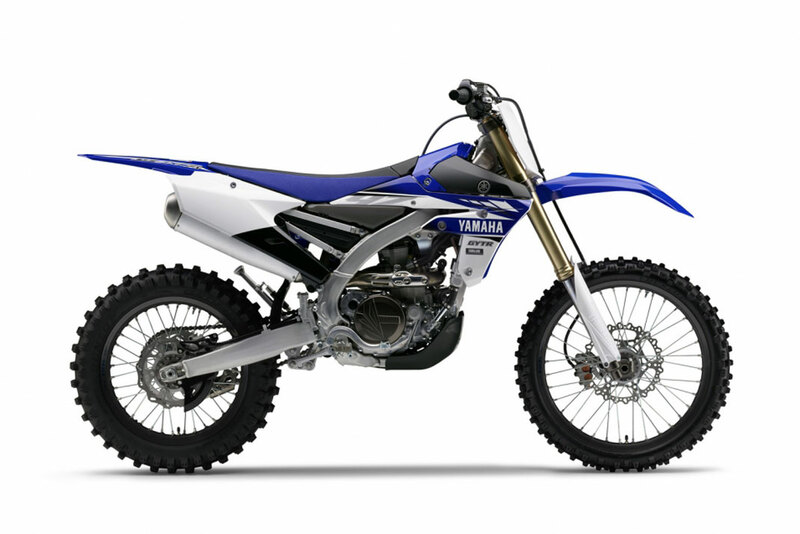 YZ450F's revolutionary rearward-slanted-cylinder design is an innovative approach to achieve unmatched mass centralisation. Concentrating the motorcycle's heaviest components (engine mass, fuel tank, exhaust system, and airbox) toward the centre of the machine helps achieve superior, nimble handling. The same Bilateral Beam frame that is found on the championship winning YZ450F is used on the new YZ450FX. It places the engine and fuel tank close to the centre mass of the bike for extremely light and nimble handling character. A new layout for the fuel tank and air cleaner box gives the machine a slimmer feeling between the legs as well as position's the fuel tank mass closer to the centre of the bike which improves handling feel. Furthermore, the air box can now be accessed with quick release fastners for easy serviceability of the large air cleaner element. 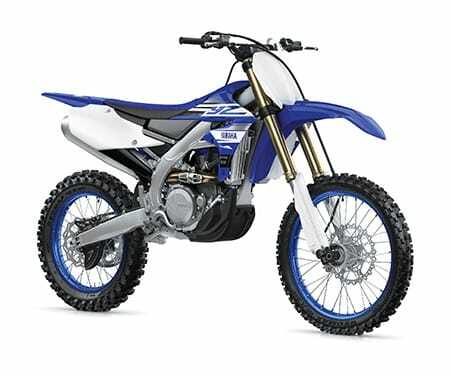 For those riders in states that offer recreational registration, the YZ450FXR model is available with a rec rego lighting kit fitted, comprising of the following items - headlight assembly with horn pre-fitted, braided steel front brake line, tail light and licence plate holder with two mounting screws and two harness mounts, rear brake light switchiring harness with cable ties for attachment, LH handlebar switch, RH mirror and hand guard set.